Larry Zagorski spins wild tales of fantasy worlds for pulp magazines. But as the Second World War hangs in the balance, the lines between imagination and reality are starting to blur. In London, spymasters enlist occultists in the war of propaganda. In Southern California, a charismatic rocket scientist summons dark forces and an SF writer founds a new religion. In Munich, Nazis consult astrologists as they plot peace with the West and dominion over the East. And a conspiracy is born that will ripple through the decades to come. The truth, it seems, is stranger than anything Larry could invent. But when he looks back on the 20th century, the past is as uncertain as the future. Just where does truth end and illusion begin? 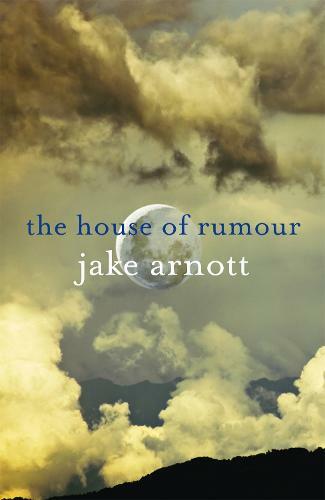 THE HOUSE OF RUMOUR is a novel of soaring ambition, a mind-expanding journey through the ideas that have put man on the moon yet brought us to the brink of self-destruction. meticulously researched, full of skilful literary ventriloquism and the occasional pastiche (the Fleming section, for example, deftly parodies that author's pragmatic prose style). Above all, Arnott is forgiving of humankind, of our high aspirations and our failure to meet them, of our low behaviour and our unwillingness to take responsibility for it. A very unique story. It has a strange mixture of famous people, science fiction writers and propaganda used in the second world war. It is a little confused. But so different it was a good read.